To do your best work, you need the best products. We carry a wide selection of professional flooring supplies. See below for all the brands we partner with as well as free resources to help you on the job. We keep a large selection of supplies needed to install wood flooring in-stock at all our locations. 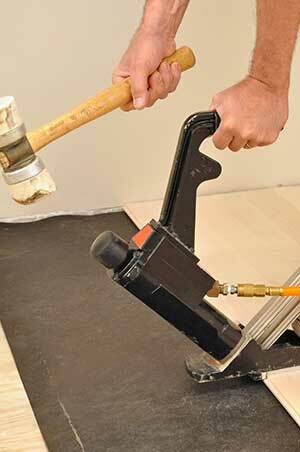 Whatever subfloor you are installing over, we have what you need to get the job done. The best way to avoid squeaks is to use the right fastener during installation. See our full article here to learn how to choose the right fastener for your next job. 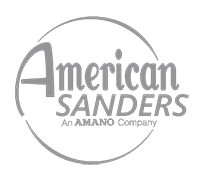 We keep just about any type of sand paper you need to sand your wood floor in stock at our twelve Midwest locations. We also carry all the accessories you need including dust masks, scrapers, and wood filler. 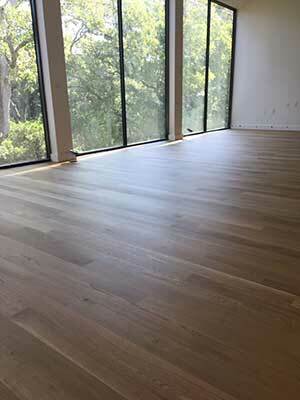 New residential build with white oak floors that were sanded. 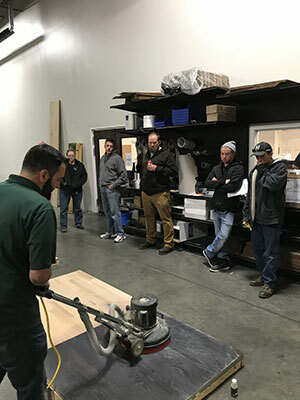 We have many opportunities to grow your flooring knowledge and skill. Check out our upcoming training and events here. We keep a great selection of water-based, oil-based, and natural oil wood floor finishes in-stock. We also carry applicators and any other accessory you would need to put a great finish on your wood floor. Dave Hanson from Rubio Monocoat demos Rubio’s one coat system at our Omaha location. Learn more about our trainings here. 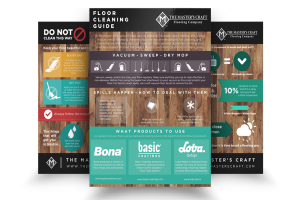 Download our free helpful wood flooring resource guides to help educate your staff and your customers. We understand that a wood flooring job usually includes more than just the flooring. 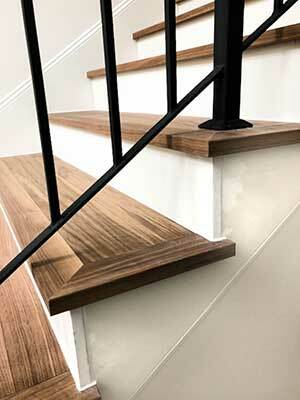 We stock and have readily available all the moldings, transition pieces, stair treads, risers and custom stair parts you need to make your customer’s floor look really sharp. Side view of FloorNose treads with Brick & Board “Foyer” flooring. Learn more about FloorNose here. Tired of having mismatched prefinished moldings? Our solution: match the moldings to the floor before installation. See our step-by-step process in the article here. We understand how important it is to your business that you have machines and tools that work. We stock several machines and tools in all our locations, and can quickly order just about any piece of equipment you need to install or sand a wood floor. 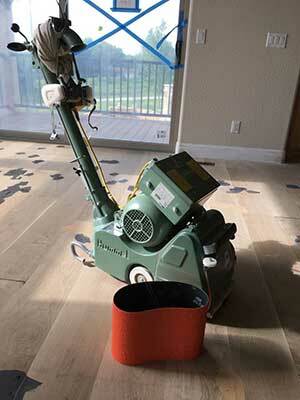 Lagler sander with 8″ white oak floor from Wilson Assis in Kansas City. See more installation photos here. Have a machine that needs to be repaired? We can fix any machine or tool and get you back on the job site quickly. Take advantage of our free loaner program, and great repair rates. looks in a format that is easy and fast to install. Storehouse “Barrel” White Oak floor from Real Wood Floors installed in a kitchen in Altus, OK. See more installation photos here. 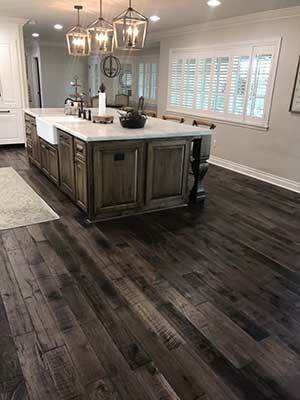 We have a wide selection of high quality, designer prefinished floors. See all of our options in one place in our digital gallery.